Let us help you create a more readable and salable manuscript. We will guide you through the Book Proposal Process. Patricia Fry will guide you through the confusing publishing maze and help you to create an effective promotions plan. Traditional royalty publishers and literary agents are more selective than ever before about the manuscripts they accept. As an author, you, too, should be discriminating in the type and quality of the book you write, no matter which publishing option you choose. If your book is worth producing, it is worth doing right. With over 3 million books being published every year, competition in the marketplace is enormously stiff. In fact over 78% of all published books fail, and the average book, today, sells just 250 copies. What is your reason for writing this book? Are your responses valid or frivolous? We Will Take the Confusion and Mystery out of the Publishing Process. Produce a more publishable and marketable manuscript. Create a successful book proposal. Build a stronger author's platform. Put together a more powerful marketing plan. 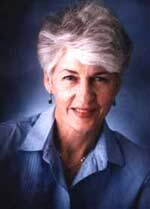 Patricia Fry is available to speak at your conference or writers' group meeting. Sign up for free Publishing/Marketing news and views. Klepto Cat Mysteries, the series of cozy cat mysteries, best sellers on Amazon.